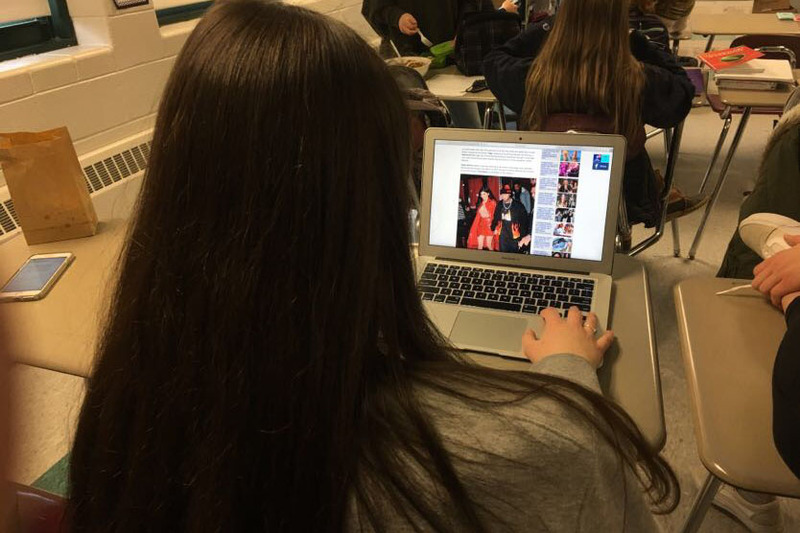 As Tasha White ‘20 sits in CAV block scrolling through the daily news, She says, “I didn't know Kylie had a baby until now”. On Monday, February 1, 2018, the world was introduced to a new member of the growing Kardashian dynasty. Kylie Jenner, an esteemed social media figure, gave birth to Stormi Jenner in Los Angeles, California. The American pop culture personality, best known for her family’s reality show Keeping Up With The Kardashians, posted an 11-minute video to Youtube entitled, To Our Daughter, which quickly gained millions of views. The video followed Kylie through her nine-month hidden pregnancy and gave viewers and fans an exclusive look at the bliss Stormi has brought to the family. The speculation surrounding the new Kardashian child has many wondering: who’s the baby daddy? Kylie is currently in a relationship with Travis Scott, so many fans are proclaiming him to be the father to Stormi. However, this information has not been made official by anybody in either the Kardashian, Jenner, or Scott family. Kylie was previously in a relationship with Rapper Tyga for years, but it ended in early June, 2017. Due to the blurriness of the situation, MTV.co.uk is reporting that Tyga said he, “Wants [a] Paternity Test For Baby Stormi” to ensure he is not the father. Reactions to the celebrity birth have been indescribable. Immediately after the video was posted, fans hopped on Twitter and started a frenzy under the hashtag “KylieJenner” out of joy. Twitter exploded with gifs and memes surrounding the birth announcement. In an interview with E! News, Kris Kardashian commented on Jenner’s absence from the media due to the pregnancy, saying, “Kylie did it her way, which I thought was really beautiful. She just wanted to take the time for her baby and herself” and on the health of the baby the grandmother said, “She’s doing great”. The recent birth of the newest member of the Jenner-Kardashian dynasty, Stormi Jenner, will certainly be one for the books. Fans welcome you to the world Stormi! They hope your prodigious birth reflects what your future holds in-store.